As part of the first Pacific Standard Time Performance and Public Arts Festival, Otis College of Art and Design's Graduate Public Practice Program invited Bay-area artist Bonnie Sherk to realize a new iteration of her on-going Portable Parks project. Concurrently, the exhibition Consuming Nature featured independent work from the current 1st year graduate students. 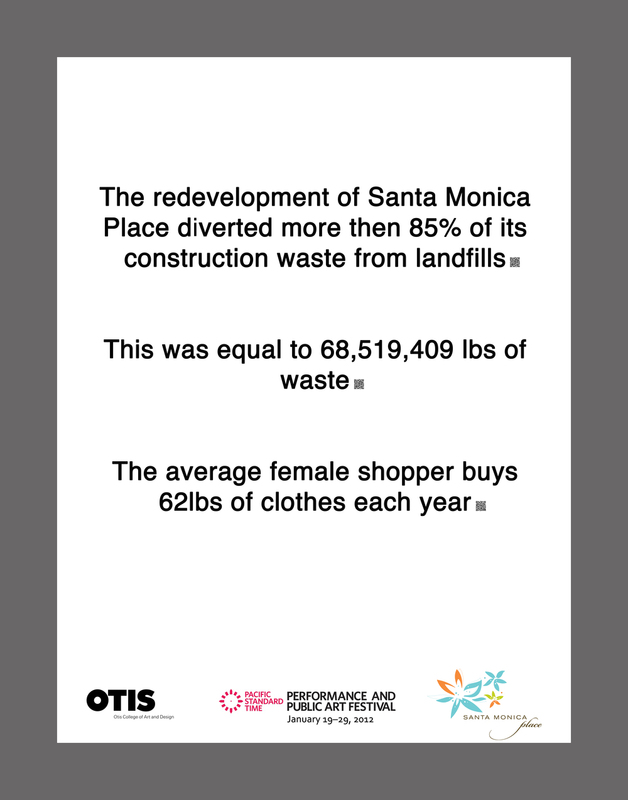 These exhibitions were held at the Santa Monica Place Mall, located in the 3rd Street Promenade.